If the BBC Proms are a National Treasure alongside Dame Judi Dench, imperial measurements and the cucumber sandwich, few composers are more closely associated with them – nor thought so terribly British – as Edward Elgar. Small wonder, then, that he apparently once said of his 1910 Violin Concerto, the centrepiece of last night's programme, 'It's good! awfully emotional! too emotional! but I love it.' His moustache is almost audible: the Edwardian era was, after all, one not only of top hats and stiff upper lips, but also of sentimentality, lurking beneath the stoicism as the Empire crumbled. All five works on the programme date from what might be broadly described as this era, all composed within the two decades between 1894 and 1916. But, of course, it's a long way from Worcester to Munich (never mind Australia) and this was very much an evening in two halves: Elgar at his most 'awfully emotional', followed by the more self-conscious and eclectic soundworlds of Percy Grainger and the young Richard Strauss. Not that links didn't emerge; but rather than between Elgar and Grainger (who had settled in Britain in 1901 and was famously interested in its folk music), the more striking similarities were those between the Australian émigré and the man who, in 1894, was Germany's Next Top Composer. The prom began with the first of two brief appearances by the BBC Singers, who opened each half with an unaccompanied work. The first – Elgar's part song 'There is sweet music' – showcased the outfit's fabulous diction and finely blended sound, but was an oddly low-energy piece with which to start. No such problem with their second outing, Grainger's 'Irish tune from County Derry': the group's enthusiasm was palpable. Unfortunately, though, the sheer volume of the tenors and basses at times endangered the delicate balance of Grainger's arrangement – and in a programme already conspicuous for its variety, the inclusion of choral forces for such fleeting works seemed ultimately unnecessary. 'Fleeting' is, of course, not a description easily levelled at the Elgar Violin Concerto. 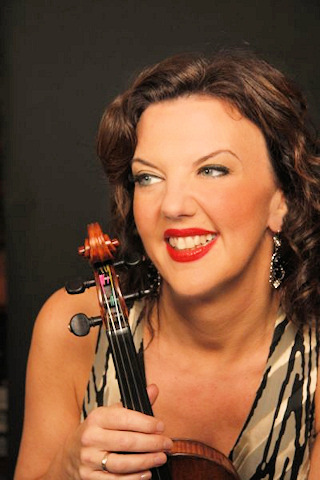 It's a work with which violinist Tasmin Little is famously associated: in a programme book interview she estimates having given a staggering 70 performances. This one, led with enormous fondness by Sir Andrew Davis, was certainly high-gloss: Little's tone ever-sweet, the virtuosic passages as easy as one might expect after 70 (often critically acclaimed) warm-ups, and the BBC Symphony Orchestra in fine, robust fettle. There was, though, a lingering politeness throughout, most audible in Davis's careful marshalling of the orchestra in many of the solo passages, which in Little's reading were almost perilously tasteful. The resultant drop in momentum whenever Little was playing sadly exacerbated the work's biggest problem: that it's a concerto that wants to be a symphony, with the orchestra getting many (if not quite all) the best tunes. It was, then, in the latter stages of the evening that this programme really hit its stride – with politeness left strictly in the cloakroom. Grainger's Suite 'In a Nutshell' made its Proms debut boasting a Resonaphone, nabimba and full battery of similarly exotic percussion. The unusual textures, colours and often irreverent tone of his music is not to everyone's taste; but the sheer exuberance of the performance was difficult to resist, with Davis (baton-free all evening) enjoying himself palpably throughout. Yet even those levels of musical high jinx were exceeded in Strauss’s tone poem Till Eulenspiegel – all horn raspberries, bell-raising trumpets and po-faced pianissimos. As gleeful ringleader, Davis nonetheless cultivated a remarkable sense of chamber music-making, with solos woven expressively together across the orchestral heft demanded by the piece. There were, admittedly, moments when the frontiers of good taste (so effective in the first half) were overlooked almost entirely; but – call me ill-mannered – I can't say I minded.